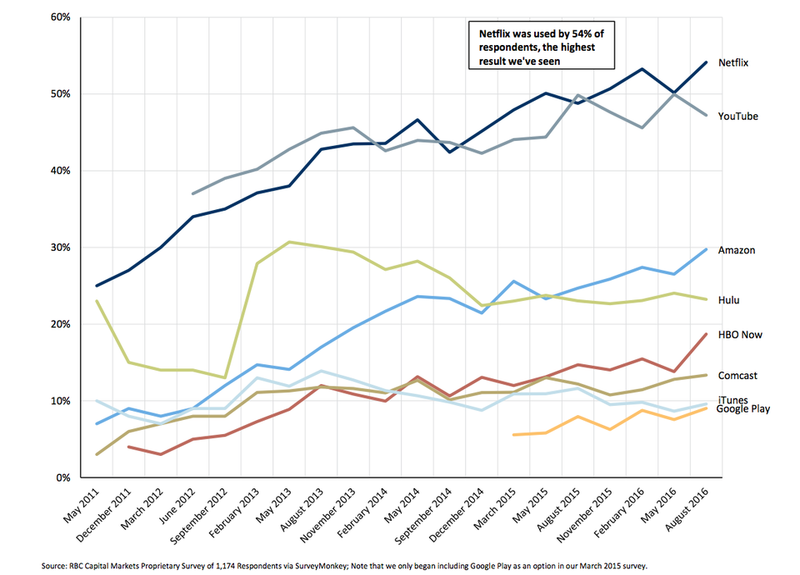 With the hype behind recent Netflix originals like Stranger Things, Narcos, and The Get Down – plus the steady success of originals like House of Cards, Orange is the New Black, Daredevil, and many more – it’s no wonder that Netflix is dominating the steaming market. Looking at the $NFLX 12-Year Chart, it’s obvious that it’s been one of the most impressive momentum stocks for years. So much so, that it’s regularly referred to as part of “FANG”, popular tech stocks: Facebook, Amazon, Netflix, and Google. Other notable reactions to the 12-Year Chart include the margin between earnings and price. 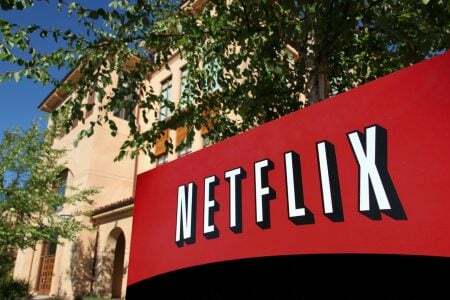 People have been high on Netflix for a number of years on the prospect of continued subscriber and viewership growth with an understanding that it would translate to greater profit margins later. It’s also important to note that a large portion of the decline in earnings is a result of the capital investments required to produce the popular Netflix Originals.